It's easy to forget now, but in 2017's early weeks F1 changed almost unthinkably. Bernie Ecclestone, who bestrode F1 for the best part of half a century, was moved on, or rather up (so far up that he couldn't see what was going on, as he liked to quip). The one man band was replaced by America's Liberty Media and its cast of thousands. And even though plenty in the paddock had for years given genuine impression this wouldn't be the case post-Bernie, the sun still rose in the same place. F1, initially at least, continued with barely a ripple. For a while furthermore it was glad confident morning - hosting deals for circuits would become reasonable; prestige races would return; there would be more money for everyone... Liberty appeared full of ideas particularly in areas that F1 had been left behind in such as promotion and the digital age. The possibilities seemed endless. And Liberty heralded some specific immediate change. 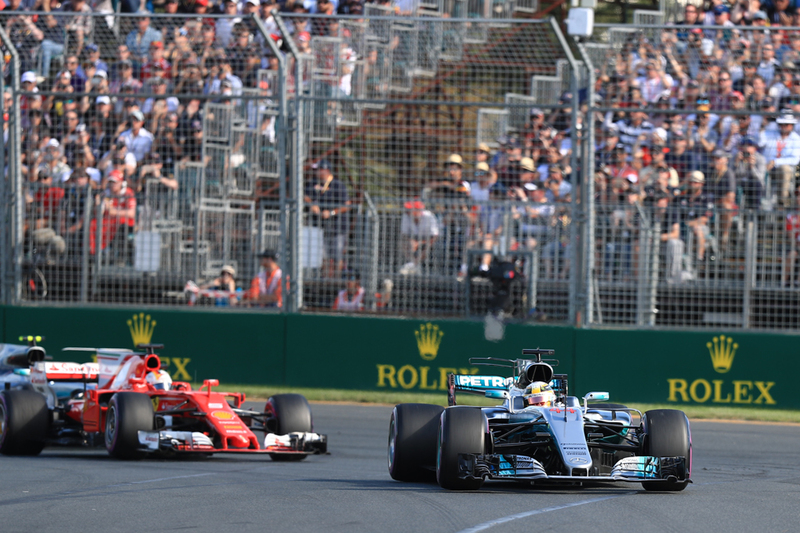 From Melbourne teams and drivers shared more from the pit and paddock on social media; F1 social media accounts were much more active generally; larger numbers on the cars - something wrestled with for years - came in for Spain and hardly caused a problem; the circuits generally had more going on at them for Grand Prix visits; more were invited into the paddock; more events to promote Grands Prix locally, such as London Live, were laid on; the eSports championship was a welcome extension; F1 even seemed to develop a sense of humour with for example the return of the Montreal raft race. All was not before time. And - again in something that now seems from other age - in the early throes it looked like we had it right on track too. 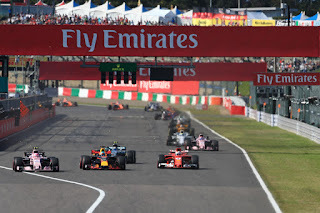 The season commenced with a series of thrilling Lewis Hamilton vs. Sebastian Vettel battles, while the Chinese round suggested (fleetingly) that the correct balance had at last been struck on overtaking. The revised more muscular cars and tyres looked the business. Lap times tumbled; some cornering speeds took your breath away track side. Drivers were able to push on tougher Pirellis - tyre management and degradation, thankfully, were little mentioned. The holistic nature of the glad confident morning was happy coincidence of course. Few of the on track changes had anything to do with Liberty. Including the major one that Ferrari amid its habitual flux and aloof secrecy in fact for a time got it very right, and gave Mercedes by far the most potent challenge it has faced in the hybrid era. Its machine didn't have the peaks of the Mercedes, but it was more consistent and usable (the Merc being in its boss Toto Wolff's words a "diva"). The changes to the technical regs and rubber pre-dated Liberty too. Come the summer break Vettel led the championship by 14. Indeed as late as Singapore as he lined up on pole it appeared inevitable that he'd leave the city state with the drivers' table lead. We know what came next, but what really did for the Scuderia was subsequent unreliability, a possible consequence of trying to squeeze too much out at the battle's crucial point. One hopes it builds on its strong year and goes again in 2018. But you know that given it's Ferrari things could just as easily unravel. But equally Mercedes and Lewis Hamilton rose to the challenge. 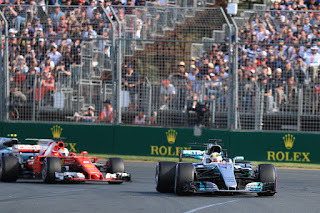 Even after a big technical shift, and some car troubles mentioned, Mercedes didn't waver in its approach and got stronger as the year went on. And Lewis in large part reflected his team - relishing the fight and his intra-team focus post Nico Rosberg. He unlike his chief rival didn't waver when it really mattered. The plaudits he received for his fourth drivers' title were deserved. The talk of a new equilibrium were not fanciful. Many old problems remained however, and as things distilled this year were yet conspicuous. Still it was common to speak of a 'big six' of the Mercs, Ferraris and Red Bulls almost like we might speak of LMP1 and LMP2. The rest almost never would finish within a minute; often were lapped. Force India despite overachieving as usual got but around half of Red Bull's points; the Silverstone squad in turn had more than double of the next team. 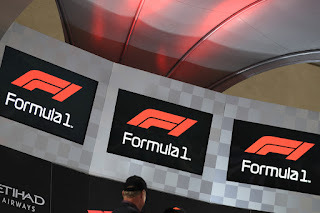 As ever money talks - the three squads would likely have more wedge anyway but F1's financial distribution - a lot of which has nothing to do with results - ensures their budget advantage is amplified. Engines remained complex and costly - which particularly hamstrung independents. Another team, Manor, left us between seasons. 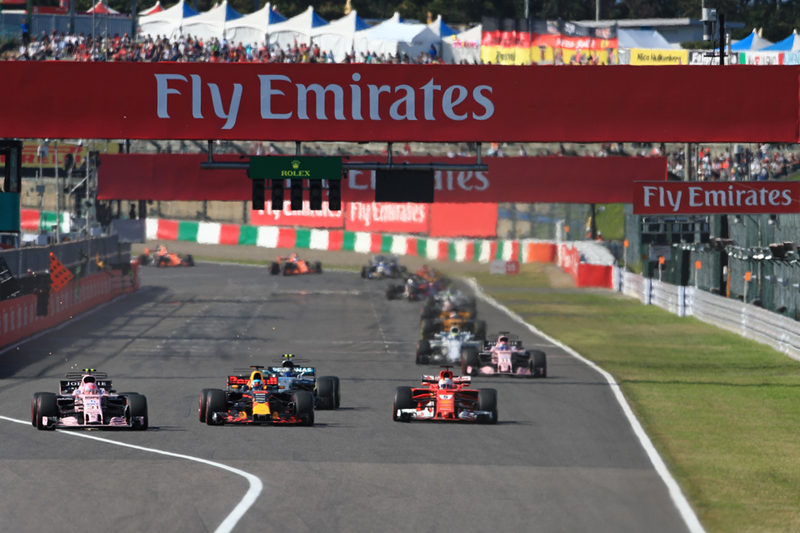 Renault's and Honda's continued inability to get things right took many credible contenders out of the front-running game. We had another campaign in which grids time after time were savaged by technical penalties. A foreseeable problem was added. Whatever this year's new chassis regs did for aesthetics and lap time they - self-admitted of those who conceived them - were not about helping cars race each other. Au contraire - "my belief is that the more downforce you have on a car, the harder it is to follow. And this  car has more downforce," said Pat Symonds stating the obvious two years ago. "For me it's the worst idea," added Hamilton on the same subject; "it just shows for me that they don’t really know what they're trying to solve." And sure enough in the event the number of overtakes was cut in half. While, inevitably, plus ca change... applied to F1 politics as well. Liberty - with its sporting part led by the formidable Ross Brawn - developed a good relationship with the FIA and its president Jean Todt (an old colleague of Brawn's). Many thought, in stark contrast to recent inertia, they together could do what they wanted. Yet - inevitably - realpolitik remains. 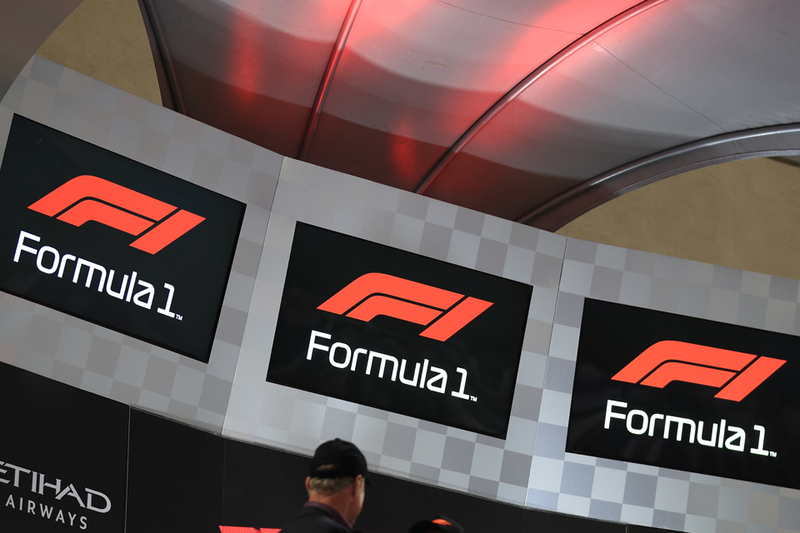 As does the usual conundrum about the balance that is to be struck between F1 as entertainment and F1 as a technical exercise. The latter of course is preferred by the manufacturers. And late in the year the "frenemies" of Ferrari and Mercedes kicked up a stink about Liberty's proposed new simpler engine regs and flatter financial distribution. They aren't happy to lay off a load of staff potentially, or to lessen 'road relevance'. Or, likely most pertinent, to give up their ingrained advantages. And if this conservatism is predictable Liberty may have been more surprised by the conservatism among those watching on, in the fourth estate and among fans. Many resisted Liberty's changes, considering them too glitzy for haughty F1. Bernie stirred in the year's latter part to accuse Liberty of treating F1 like a fast food restaurant when it should be a Michelin 3 star (lingering loyalty to Bernie is part of the resistance, which is another thing that never was going to disappear overnight). 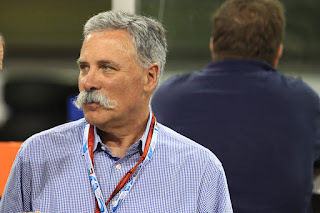 The Daily Mail's Jonathan McEvoy, perhaps revealing more than he intended, said: "I worry about these new chaps from America, they don't understand British sport, they don't understand European sport". The (over) reaction to the end of season logo change was a case in point. On one level the complaints are odd. After all it's not like things for F1 have been going swimmingly as they are. Also, in something particularly audible amid logo gate, many ask 'why change x rather than the more fundamental y and z (and a and b and c...)?' Well, aside from the point that it's possible to think about more than one thing at the same time, it's not the work of a moment at the best of times to change aerodynamic rules, financial distribution and the like. As intimated it can be - and currently is - a hornet's nest. Contracts still run to the magic date of 2020. "It is not something you just flick a switch and things happen," said new commercial boss Sean Bratches. And even if these were not the case rushing into changes would likely have been inadvisable. And everything Liberty says indicates it wants to change the fundamentals too. "We're very focused on the racing," Bratches explained in Abu Dhabi. "We want to make it more competitive than it is, we want to bring the back of the grid up closer to the front of the grid, bring more overtaking. We have Ross Brawn, he is developing a team to make it more exciting." Yet Bernie was right (for once) that Liberty didn't manage expectations. "They shouldn't have made so many predictions as to what they could do," he noted. But it goes beyond these. The prize money has gone down this year for the first time in however long. Liberty said this was down to its increased investment - but the teams are clear that out will wear thin fairly quickly. 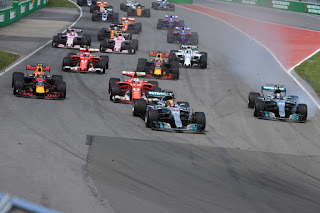 The UK is losing free to air F1 TV coverage in a year's time while F1's biggest television market Germany does not yet have a free-to-air broadcaster in 2018 as incumbent RTL has not yet renewed - all chafing against the desire to grow audiences. Certain changes to 'the show', Michael Buffer in Austin, the revolving podium in Mexico, the new logo... did not meet universal approval. Circuits and drivers for their own reasons had noses put out of joint too. Therefore Liberty was left in no doubt come the year's final few rounds that its honeymoon is over. Never glad confident morning again. The best evidence is that goodwill for Liberty in the paddock just about remains. But people are getting impatient for meat on the bones. Or rather specific plans on the marketing buzz words. The next big test is whether the new regime has the resolve to face entities such as Merc and Ferrari down ("call the teams' bluff" as the erstwhile FIA president Max Mosley used to have it). That remains to be seen, but some hold out hope. 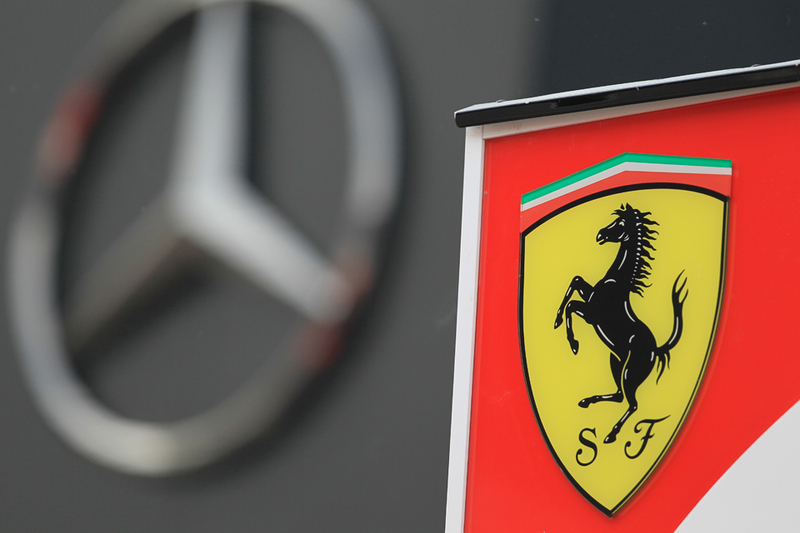 The prize of an F1 in which all teams have a fighting chance is a glittering one. Then again the stakes are high. F1 without manufacturers would be severely diminished. And Ferrari isn't altogether bluffing when it points out that its walking from F1 would not cause nearly as much skin off its nose as was once the case. The alchemy for what gives a formula big audiences can be delicate - CART wilted despite having everything, Indy - crucially - aside; F2 with its close field and great racing only attracts diehards; WEC, much lauded by its acolytes and with a few gleaming manufacturers, gets small numbers other than for Le Mans. Yet we shouldn't lose sight of the big picture. Dieter Rencken concluded the year stating, "there is no denying that F1 2017-style was at its most harmonious for 30 years (at least)." And he should know. It goes further. We can debate the detail, but we had plenty of things in F1 in 2017 that for years we yearned for. A commercial rights holder and governing body acting as one - replacing the previous debilitating deadlock. A commercial rights holder with a plan and vision to grow the sport particularly among younger people, rather than thinking only short term political positioning and selling Rolexes to 70 year olds. A more open F1. One that is being energetic, creative and finding new ways to attract people in. That understands the modern global media landscape. That is providing plenty more content and doing plenty more digitally with plenty more to come. Unlike its predecessor who had rather a mental block with such things. As the sage Will Buxton noted, "this isn't the old way. And for that, we can and should all be thankful."